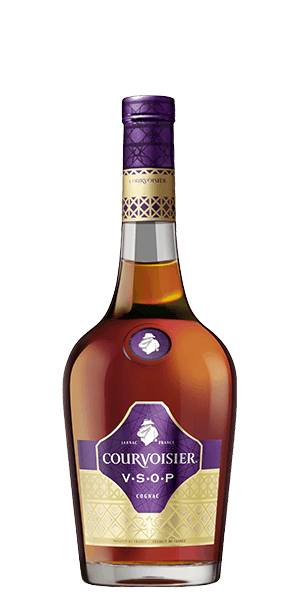 Courvoisier … not many brand names are as synonymous with prestige and quality as Courvoisier’s. The name has seeped into our culture like few others. It has appeared in Woody Allen and James Bond films, been rapped about by Busta Rhymes and Ice Cube, has been praised by Stevie Nicks, and has appeared in hundreds of TV shows. Every seduction begins with Courvoisier. That’s quite the pop-culture resume. But they’ve earned their place in history. Founded in 1809 by Emmanuel Courvoisier, the company, now owned by Beam Suntory, has been making Cognac, and only Cognac for more than 200 years. Courvoisier VSOP is labelled “The Cognac of Napoleon.” And this isn’t marketing hype … the little emperor with the funny hat and his fingers stuck in his coat actually paid them a visit. In 1811, Napoleon visited the main Cognac market in Bercy, France, declared that he had made his choice and took two barrels of Courvoisier with him. The ambitious Frenchman may not have chosen the best time to invade Russia, but he sure knew his Cognac. Courvoisier VSOP is still the standard by which all other Cognacs are judged. The famous aroma, the full body and luscious mouth-feel, the nutty and gentle spice wrung from more than four years of rest in the finest Limousin oak … everything is spot on, nearly becoming the definition of Cognac in France. One of the most famous paintings of Napoleon ever made was painted by Etienne Bouhot, capturing the emperor’s visit to the Cognac market in Bercy, France, where he acquired a few barrels of his favourite Cognac: Courvoisier. What does Courvoisier VSOP Cognac taste like? The Flavor Spiral™ shows the most common flavors that you'll taste in Courvoisier VSOP Cognac and gives you a chance to have a taste of it before actually tasting it. A perfume of jasmine and ripe peaches. Toasted almonds, stone fruits, and toffee. Lingering and dry with baking spices. Peach, fruit, dry, woody, caramel, nutty, almonds, jasmine, toasted. As far as smoothness goes, it can give Hennessey a run for its money in my book. Critical to my Vieux Carres. Getting peach and a little lemon on the nose. Greeted by caramel apples, sea salt on the palate with some nuts and a little jasmine on the finish. Very, very smooth! This cognac is great, in my opinion, for mixing. I don't drink cognac a lot, but when I do, this is what I drink. Best to drink with strong black coffee and a great cigar! The flavor was amazing in this bottle I normally don't drink alcohol without chaser but this is great all by itself. Infused with flavor! Flavia's flavor spiral is spot on. Heavy peach on the nose and palate. Notes of almond, caramel, wood are all present. Very nice. Dark sweet grapes with a bit of oakiness. Smooth drinkability overall. The nose is strong, taste is smooth. Tasty, but a little too mild and well behaved for me. The flavors stayed in a narrow channel of sweet fruit, slight spice and slight woodiness, and I wanted them to open up further. I liked it, but did not pass it. A solid if not spectacular cognac. Smooth with none of the brashness of a VS but missing the complexity of some other VSOPs or XOs.